“Give me any two pages of the Bible and I’ll give you a picture.” The words belong to Cecil B. DeMille, according to Stephen Whitty’s weekend write-up about Bible movies in the New Jersey Star-Ledger. The story was inspired by a trio of big-budget Bible films—Son of God, Noah, and Exodus—set to be released this year. 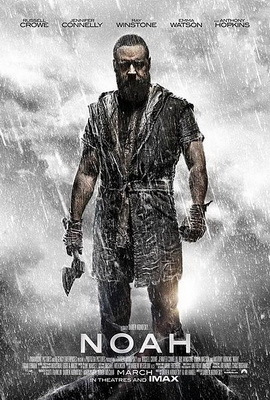 While Mel Gibson put me off of Jesus movies, perhaps forever, I’ve been planning to see Noah ever since my wife first pointed the poster out to me in a local theater lobby last month. The flood story has always spoken to me, lasting well beyond the nursery years with all the fluffy animals aboard the ark. One of the points that Whitty is making, however, is that Hollywood knows something the New Atheists do not—there’s big money in religion. People will pay to see it on the big screen. The Bible still speaks to a secular nation. Noah’s story has been dramatized many times over in the entertainment media. It is often a theme in popular fiction, although well hidden, and reemerges in the occasional search for the lost ark documentaries or Veggie Tales shorts. There’s something timeless about the world-wide flood. For me it seems to go back to the thrill of the impossible. Those first eleven chapters of Genesis teem with the surreal world of lifespans centuries long, primordial gardens full of good food, gods intermarrying with humans, and waters that cover any number of sins. There’s a robust, adventurous air to such stories—they push on the boundaries of human experience and burst beyond them. It doesn’t matter whether Noah’s ark is round, boxy, or extraterrestrial—the flood’s the thing. It appeals to imagination like less mundane disasters simply can’t. I don’t go to the movies to learn about the Bible. I can do that right at home with a single outlay for a relatively cheap book that can be read over and over again. No, it is these early days of the Bible that give rise to the prepositional phrase “of biblical proportions,” that the movies show so well. I’m not sure that I’ll be able to make the transition from Batman to Moses when Exodus comes out later this year, but next month I do plan to let the waters of the largest event in earth’s fictive history wash over me with all its CGI glory. Seeing is not always believing, but the flood is one of the most powerful stories ever told. Who can resist the calling of deep unto deep? Be warned, the entire theater will be in the splash zone. Everyone wants to belong, to fit in. Growing up, I seldom felt I managed it. When you’re very young you don’t know enough to notice that you are more melancholy than other kids, or that you can’t afford the nice things they can. As you reach your teenage years, however, and you know that you come from the kinds of families that other parents warn their kids about (fairly poor, very religious, and just a bit peculiar). No wonder I find Ransom Riggs’ books so engaging. Yes, they’re written for young adults, but just about anything that Quirk Press publishes is worth the read. As an adult, if I’m honest with myself, I’m still waiting to feel like I fit in. The kids in Hollow City, the peculiars, know that they can never fit in. They have special, impossible talents that make them the targets of monsters called hollowgasts, or hollows, who try to gobble down as many as possible. Monsters, outsiders, and very human relationships—it’s a winning combination. Quite apart from the spellbinding pace Riggs spins out (he’s a master of building tension), there are some quasi-religious elements in the books as well. 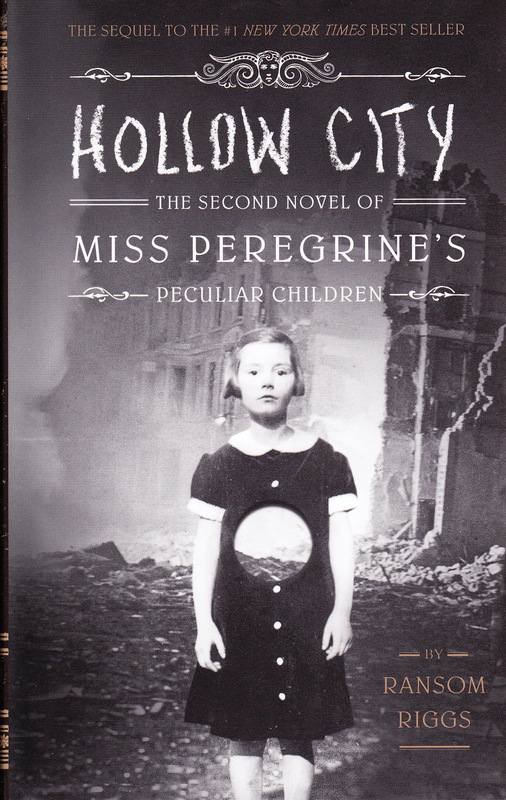 I read Miss Peregrine’s Home for Peculiar Children a couple years back, and Hollow City develops the mythology a bit more. The real enemies are the wights—mean-spirited malcontents who rule the monsters. They learn that they can become demigods if they extract what makes a peculiar peculiar. That’s a religious concept: the essence that materialists tell us isn’t really there at all that makes us what we are. The children are self-sacrificial toward their mistresses, birdlike and godlike at the same time. Peculiars have two souls, although most of us don’t know what to do with even one. The soul has, of course, come under great suspicion over the last century or so. There seems to be something that makes us what we are, and it isn’t just cells and DNA. Some call it consciousness, others personality. There are those with élan and others with spirit. We can’t call it “soul” because that smacks of superstition and yesteryear. So we read of children with two souls and none to spare. Even Philip Pullman had souls for his children in His Dark Materials. The soul, in both these book series, leaves a person completely dehumanized when it is excised. Of course, materialism will do that for free. Yes, I know it’s fiction—young adult fiction at that—but my money’s on Ransom here. Let’s hear it for those who have a surfeit of souls! I’m not really the one who should be on oxygen in this situation. It was a routine, scheduled oral surgery for a impacted wisdom tooth. Not mine, but my wife’s. I sat in the recovery room and they wheeled her in on oxygen. When the doctor stopped in to check on her, he looked at me and said, “My God, get that man on oxygen! He’s going to pass out!” So they took the gas from my wife and laid me down instead. My wife had the magnanimity to think it was cute, but I felt embarrassed nevertheless. I couldn’t go into medicine even if I wanted to. I haven’t the stomach for it. So as I write this in the Urgent Care unit, I’m a bit light-headed. We came in for treatment of a snow-shoveling-related injury for my wife, and my mirror neurons are firing overtime. I hear them call a code red, and I think I hear the helicopter coming down and I think I might pass out. I can’t stand the pain-filled groans coming from the next room. Compassion is one of the most overlooked of human virtues. I haven’t taken a sick day since 1987, but I’ve had companies tell me I hadn’t earned any yet. You have to earn the right to be sick. Even when I threw up on public transit two weeks ago, in one of the most embarrassing moments of half a century, I still got up at 3:30 the next morning to climb aboard again. So I’m sitting here, feeling ill, although I’m fine, and thinking about how people naturally feel for others. Only practiced cynicism can erode that. Or maybe I’m just a wimp. It is no coincidence that most religions feature healers or healing as one of their central tenets. Life involves suffering, anticipated or not. There is something more than the physical going on here. Pain is the enemy, and I’m the one who’s well. There may be atheists in foxholes and even in hospitals, but they must be aware that the chemicals chasing one another around the neurons upstairs believe something else. Religion is a coping mechanism, perhaps something even more. So the winter takes its toll, and the snow claims another victim. All those instruments on the wall are beginning to creep me out. My mirror neurons suggest that if only those made of ice could melt with a little compassion, this world would be a more humane place. And when you get a moment, could I get a little oxygen over here? Women generally bear the brunt of religious intolerance. This is an evil that has proven tenacious and insidious, and which has played out in history far too many times. Lyndal Roper’s Witch Craze: Terror and Fantasy in Baroque Germany brought this home to me once again. Books on witch hunts are deeply disturbing, but we need to engage with the brutality of the past if we want to prevent its reappearance. 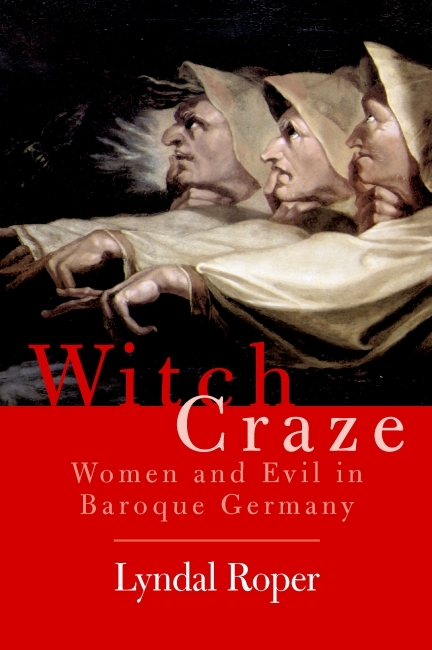 Roper points out that although many nations persecuted “witches” in the Middle Ages, even into the early modern period, Germany by far had the highest numbers. There were probably many reasons—no simplistic answer meets all the clues. One is clearly related to politics. Germany lacked the central cohesion of other European nations in this period. Feuding princedoms from a fragmented Holy Roman Empire had no strong central authority. When it is everyone for themselves, scapegoats are never far off. Roper doesn’t leave it at that. She points out that the central characteristic of the witch is the intent to harm Christians. Indeed, the witch is a monster born of religion, and which murdered thousands of women in the name of Christianity. Compounding this unrealistic fear that Christians have always seem to have had, was the emerging Reformation. Distrust erupted in Germany. Was one’s neighbor a Lutheran or a Catholic? In either case, the other was heretical, from someone’s point of view. Distrust ran at premium prices. And women picked up the bill. Yes, there were male witches, most of them associated with women who’d been accused, as Roper points out. Even as the Enlightenment was burgeoning, renewed hunts for witches broke out, leaving innocent women dead in a land that valued fertility perhaps above all else. Women’s bodies, as Roper notes, were to focus of suspicion and fear on the part of a male power structure that dealt with its phobias by the use of violence. Even the Enlightenment couldn’t wipe this slate clean. Today in the western world, secular thought has replaced superstition for many people. Women are not longer accused of witchcraft. Besides, witchcraft is a chic new religion in many places. But the longed-for equality is still not here. In many parts of the world religious violence is still directed at females by male power structures that should’ve died out with the fading of medieval Teutonic anxieties. Those who perpetrate such violence hide behind scriptures—even the Hebrew Bible acknowledges the reality of witches. Religion creates its own cadre of monsters, and those with stout conviction look for women to blame. The flames of the pyres did not lead to a universal enlightenment and the Tea Party tells us Christianity is still endangered in a world where it may spread largely unhindered. One truth, however, remains. The truly endangered are women, and men who don’t fight against the real monsters do not deserve to be called defenders of the faith. The tragedy that has been unfolding in the Ukraine has brought to light some unlikely heroes. A story on NBC last week showcased, albeit briefly, priests on the front lines. In a world where joining the clergy is often a way to avoid the dark and dreary reality of war and want, it is strangely heartening to see (in this case) men of the cloth willing to walk into danger. These are people who truly do believe. Sometimes it is easy, sitting safely behind a computer monitor in a relatively quiet neighborhood, to believe that the world is a peaceful place. 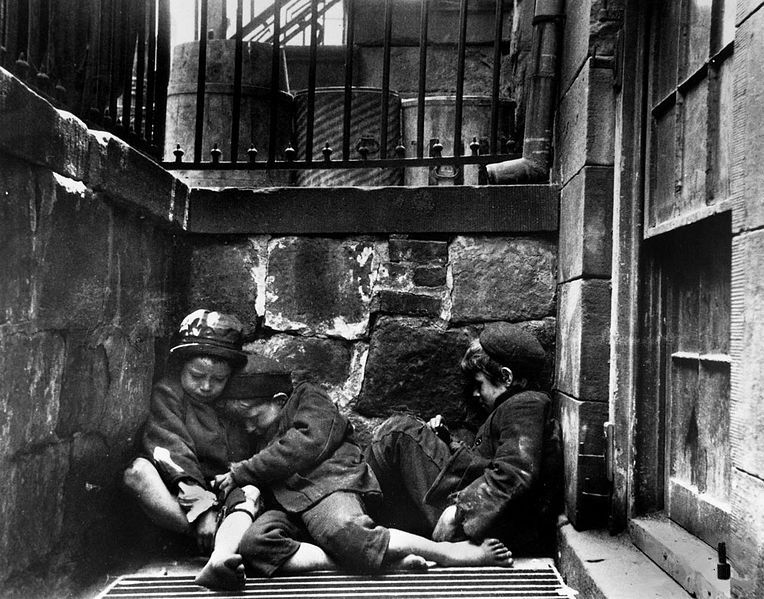 Even a walk through the “cleaned up” parts of Manhattan will reveal, however, that human need is very real and omnipresent. Perhaps it is just the times when I’m out—it is winter after all, and we do value our comfort—but I seldom see clearly identifiable clergy on the streets of Manhattan unless they are trying to convert. The homeless almost always are sitting alone. The chill this winter has been almost Siberian. Where do the helpless turn? Seminary is not the training ground for combat. At least not in the way that armed conflict brings. As a student and teacher in a seminary setting, I was constantly watching for signs of hope. It takes a truly remarkable individual to engage in caring for those who need it. Far too often “minister” is a job, with benefits, because that is the only way to get along in a world enamored of capitalism. That clerical shirt can be quite costly—who wants to sully it with human need? The world inside the church is often artificial. If the people are not inspired to go out and help, then we’ve just wasted another hour in a feel-good social gathering. We’ve learned to tune out the bitter lessons of life. Yes, there are war zones. Some with real guns and the dead we see in photographs used to be people just like us. Who cares for them? A cassock can cost upward of 600 dollars. How many warm meals would that buy for the woman sitting on the sidewalk with a baby on her lap and a handwritten sign on cardboard in front of her nearly empty paper cup? Too often religions become ingrown. The job of missionaries is to convert, not to comfort. We would like to crawl into a world where people are safe and happy, but the moment we wander outdoors—and the mall doesn’t count—we find a different reality at work. It is difficult for me to read about current events. The Olympics are not the only reality of the world of the former Soviet Union. There are others who will never be recognized with gold, silver, or bronze, They may walk into the crossfire holding aloft a brass cross to indicate that they are there to try to help. No great cheer arises, no great ceremony for torches that have fictionally burned since ancient times. There is a fire here, however. It is the fire of human warmth. In this long winter, it is an honest flame of hope. Book contracts make me happy. In the case of an academic out of water, they are rare. Few people care what a PhD has to say unless s/he has a university appointment to back him or her up. 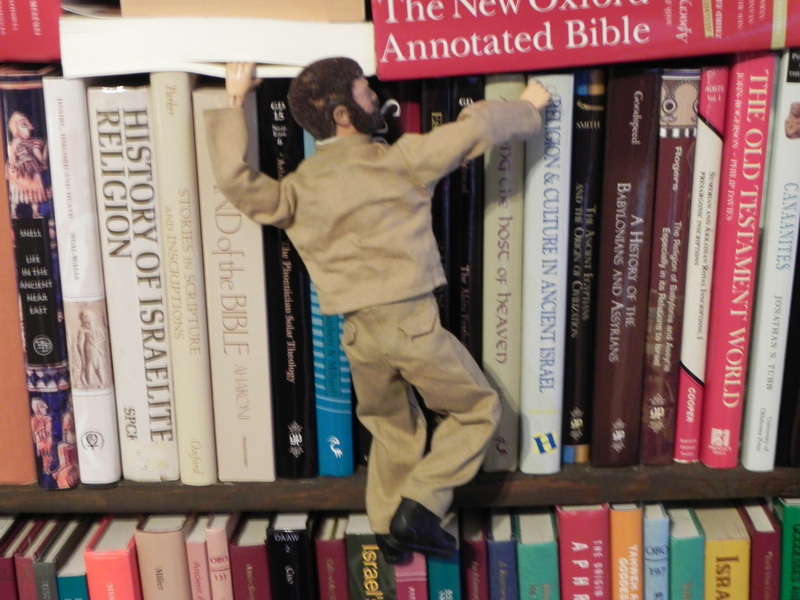 Still, I wrote Weathering the Psalms while I was fully employed at Nashotah House. I carved the time out by waking at 4 a.m. to do my writing (a practice that has stayed with me ever since), and from 1995 to 2000, the bulk of the book slowly emerged. The day I was terminated at Nashotah I was working on a revision of the manuscript, a bit uncertain of what direction to go. After the trauma of that day, I couldn’t face my little project without the anxiety of association tainting the effort. It seemed to represent my failures in finding the job I knew I was meant to do. Such potent reminders soon weary even those of us who awake well before the sun. 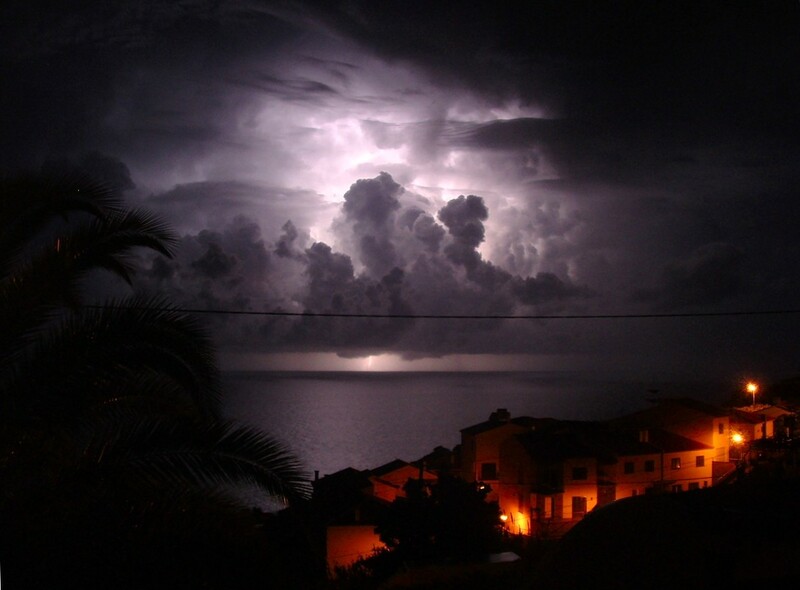 Working in isolation, I had noticed that the weather is a very common motif in the Psalms. The problem is, any attempt to fit the evidence into an overarching scheme is artificial. I undertook a survey of all the weather references in the Psalms, and explained them as scientifically as a layman could. The result was not the smoothest reading, nor was it tied together with a strong thesis, but it was important. Although I have not been in a position to keep up with the research such a project requires, I’ve not seen anything similar emerge. The weather, however, still happens. And people still blame it on the divine. In ancient times there was no natural world. What we call nature was actively directed by the divine. The weather is probably only the most obvious example. We all know the phrase “everything happens for a reason.” This encapsulates the biblical view of the weather. This winter with its series of storms has reminded me of this, forcefully. Ironically, editors started to show interest in the project only after I’d abandoned hope of ever getting it published. It was the fruit of my despair. It represented several years of my academic life, but, like its creator, it was growing older. So last week when a contract landed on my desk from Wipf and Stock, a profound happiness settled in. A sense of completion. I am not in a position to update the contents, but at least one academic publishing house sees the worth in the manuscript that came from so much personal experience. A decade is a long gestation period. I suppose if I had to write the book today it would reflect much more the experience of world-weariness that comes from not ever finding the job you know you were meant to do. Nevertheless, it is a small offering to the deity of the weather, and I am glad that, come next year, others will be able to share in my struggles to make sense of that world. As a life-long pacifist, it might seem strange that I find myself waxing sentimental over a military-themed toy. You see, I just found out that G. I. Joe is turning fifty. For those of us who grew up in the 1960s, G. I. Joe was the acceptable “boy doll” (now, technically, “action figure”) that all the guys had. Some of us had several. We didn’t have much money, but Christmas always gave an opportunity to accessorize Joe with either the latest developments (life-like hair in a buzz cut, pull-string vocalizations, “kung-fu grip”) or the many vehicles that could be purchased separately. As the Vietnam War wore on, Joe turned his interests to science and humanitarian causes, but boys like to anthropomorphize as much as girls do, and Joe continued to get himself into many bizarre adventures. At least in our apartment he was known for fighting dinosaurs, robots, medieval knights, and even General George Custer. Joe was a fighting kind of guy. He had guns and gear and shoes that were almost impossible to remove when you wanted to change uniforms (only when Mom was out of the room). So G. I. Joe has been around for half a century now. I can’t remember childhood without him. G. I. Joe often had near fatal encounters in our home. One of them, the talking one with life-like hair, suffered a severe war wound that left his bottom half completely dissociated from his top. I don’t think we kept the lower abdomen and legs—there was something slightly unnerving about plastic buttocks—but I did keep his top half, the talking bit. It shocked me when my Mom asked if she could take him to church. We were a “Bible believing” family since it was the days before people much talked about Fundamentalists. My mother was a Sunday School teacher. (Thus my early amazement at the magic of flannelgraphs, still primarily used for religious teaching.) We didn’t believe in evolution, and we certainly thought war was a bad thing. I did wonder, though, why Mom wanted to take a toy to church, particularly a dismembered, violent one. Being the son of the teacher did have some perks. I knew enough to read my Bible and learn the lessons, but we were not given sneak previews for Sunday School. Seeing the trailer might make actually attending superfluous. So when Joe went to church I learned why: people are not animals. 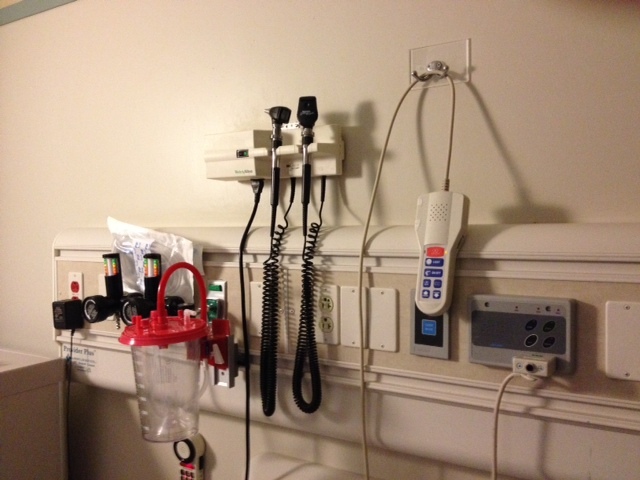 The pull-string voice box, although the sounds emerged from holes in his perforated chest, was proof. People talk, animals don’t. We didn’t evolve after all. The other kids were seemingly impressed by my evangelistic Joe. Who would’ve thought that “G. I. Joe, U.S. Army, reporting for duty” could have ever converted a lost soul? On Ebay, I see, some of these vintage talkers can fetch up to $600. Mine, I’m sure, ended up in a landfill somewhere in rural Pennsylvania where, I have no doubts, he is still preaching to the other toys about the dangers of evolution.